I enjoyed making the dinosaur pop up card so much that I decided to make another one - this time for my little Great Niece. Perhaps robots may seem like an odd choice for a little girl but I'm hoping she has inherited her mother's love of robots as well as cats - mainly because I didn't have any suitable cat images! 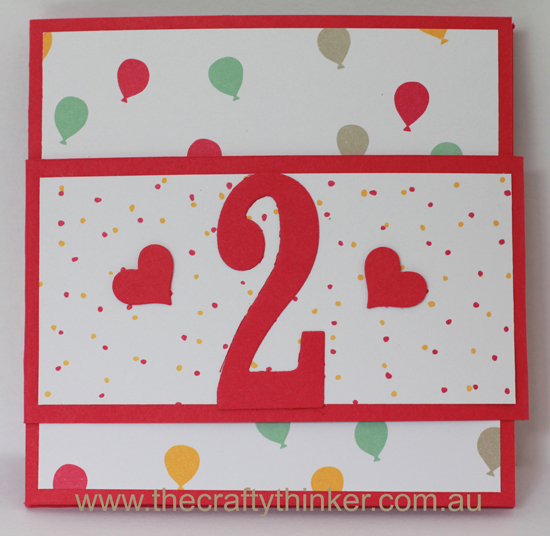 I've tried to make the card a bit interactive: she and her mother can do a lot of counting (robots, hearts, hearts attached to robots), they can look for colours (red, green and yellow and each robot has different coloured eyes) and they can make up a story about where the robots are going. 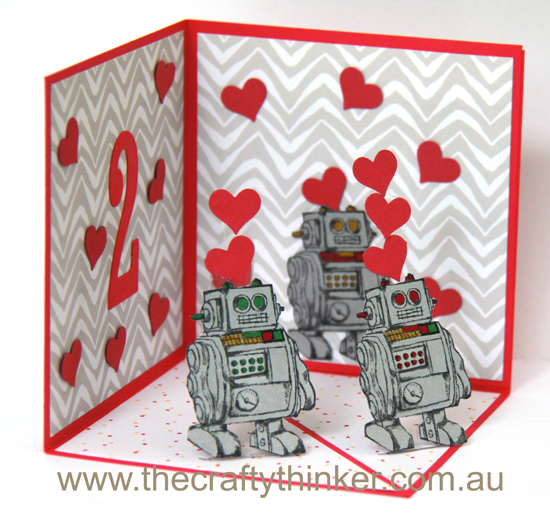 They're very friendly robots who are thinking loving thoughts - maybe not so robotic?! 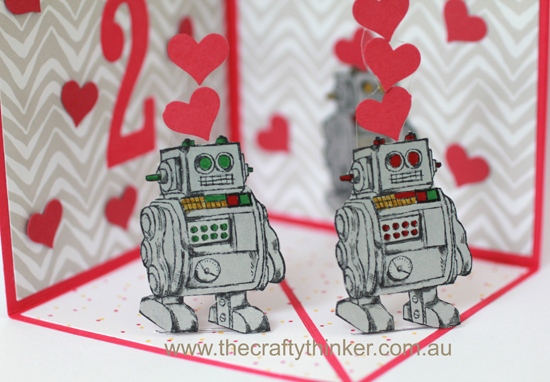 I stamped the robots from the Boys Will Be Boys set in Basic Black ink onto Smoky Slate card, then coloured them with Stampin' Write Markers and gave them a coat of Clear Wink of Stella. 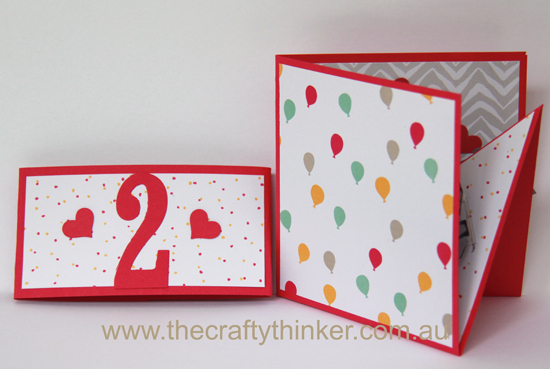 I cut the numbers with the Large Numbers Framelits and punched the hearts with one of the Itty Bitty Accents punches.